Home Tags Posts tagged with "asos"
There’s nothing more I hate than being cold but I needed an updated piece that screams “Oscar the Grouch” realness. This coat from First & I is long, soft to touch, and so warm. Not to mention so 70’s chic, I could die! 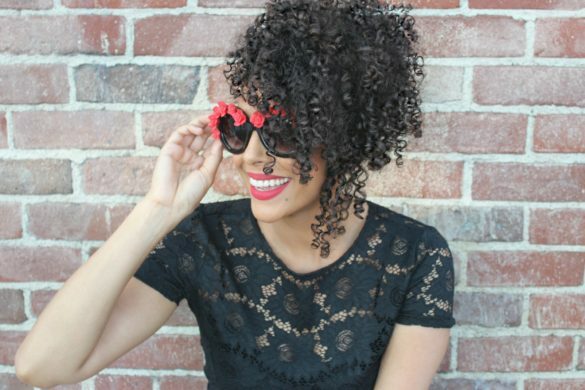 Pair this with a black turtleneck to dress it up or a simple, loose fitting white tee to dress it down. One of my favorite pieces from MarkieChar designs is this matte finish gold tone chain with a sliced peach rainbow agate. 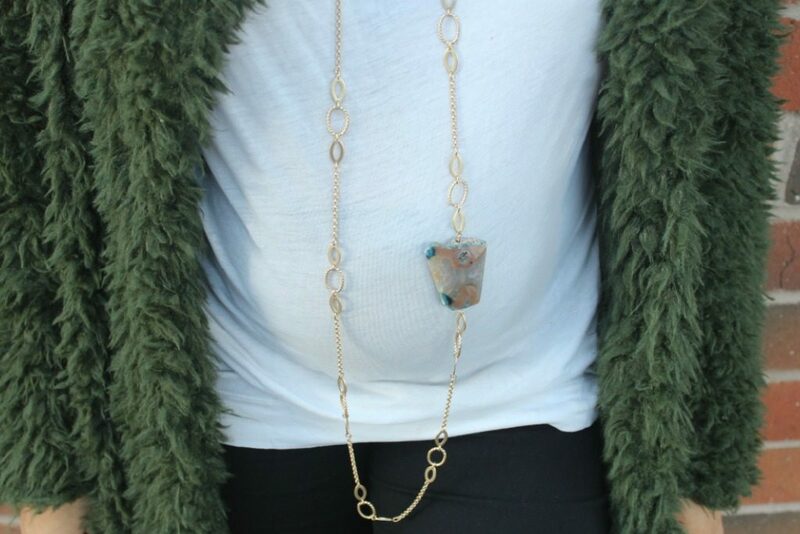 Not only is it gorgeous, the length of this necklace is perfect for showing off your baby bump. If you are in the Las Vegas area, definitely check out this shop for more amazing pieces. This was the maternity clothing I did splurge on. With my ever growing belly, there was no way I could continue with pant extenders and belly bands, I just needed comfort. These skinny black maternity jeans from H&M and have a full band for maximum comfort. I have them in several colors and they will come in handy even after the baby’s born for Thanksgiving dinner. As the weight on my scale increases, the heel size decreases which is why I’m becoming a sneaker head. It’s not easy finding a size 10 shoe that doesn’t make me look like Bigfoot but my Vans Leather SK8-Hi Slim Zip are the perfect remedy. The white waffle rubber outsoles and gold zipper dress up any casual look. 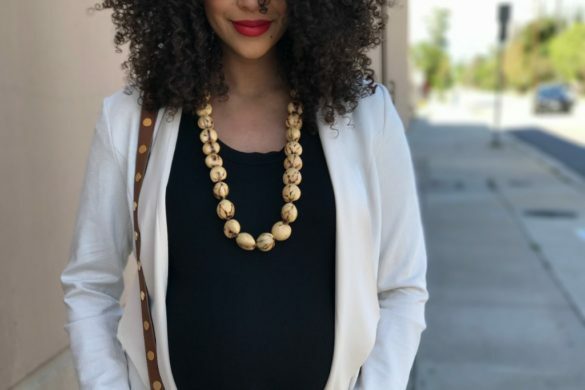 What are your go-to maternity clothes? Tell me all about it down below in the comments.